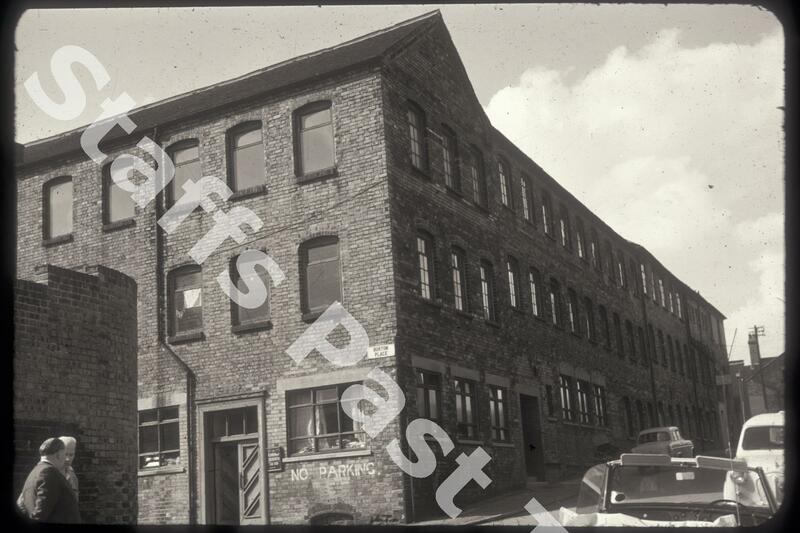 Chromo Pottery Transfers Ltd., Meigh Street, Hanley. Description:This works was on the corner of Meigh Street and Burton Place in Hanley. It was the site of the Corona clothing works and before that the Corona Pottery. Now demolished, the land is now the rear of Marks & Spencer's store on Upper Market Square.